Wesley won the right to be called the Brewmaster's apprentice because he showed competence and his ability to drink all the other contestants under the table. In his free time, he brews his own, much harsher, concoctions biding his time until he becomes a Brewmaster in his own right. Wesley is a little drunk (Ht 1) that can stumble away from any attack, up to 3-inches in any direction, be it on his willpower or defense, so long as he has a mask in hand. Wesley is mobile with a 6-inch walk and a 6-inch charge. As a totem, Wesley can only take the battlefield with the Brewmaster, unlike other totems though Wesley is a minion meaning that he can count for strategies like Turf War and schemes like Reconnoiter. His Df of 4, coupled with his low wound count of 4, won’t help him stay in the game long but there are some tricks to helping him stay safe. Wesley also has Tipsy; enemy models within 6-inches must reduce their willpower by 1 if they have the Poison condition. Lastly, and the reason to bring Wesley all the time, is There Must Always Be One, when a friendly Brewmaster within 6-inches is killed or sacrificed, immediately summon a Brewmaster into base contact with Wesley and then sacrifice him. This allows a riskier play style with Brewmaster, but you will not get any of Brewie’s upgrades just s “stock” Brewmaster. Wesley has some good options for his Attack and Tactical Actions. The first is his Impotent Flailing, as Ml 4 with a 1/1/5 damage profile isn’t bad. The second attack actions is Swig o’ Shine, Ml 5 and giving the target Poison +2, even if it was a disengaging strike. This synergizes well with his Tipsy aura as well as the attack actions of Brewmaster. His only Tactical action is Magical Extension. He can use one of Brewmaster’s (1) Ca actions, this includes actions printed on upgrades. Now he casts at a -3 Ca so often he is casting at a 4, however most of Brewmaster’s Ca actions target Wp so often you will be even or ahead in that department. Wesley is a great addition to Brewmaster because of the synergies he brings, Tipsy and There Must Always be One, translates to a 3 Soul Stone upgrade to get another crack with your Master. Really anytime you can turn a totem into a master, it’s good times. 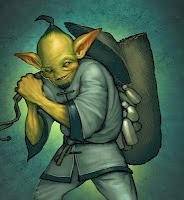 He can fuel Moon Shinobi with Poison or use it on the opponent and let Brewmaster go to town. Honestly I use Wesley as my American Express card, I don’t leave home without him. Another strong use for Wesley I've seen in play: his Obey is fantastic for speeding up allied models, or pulling enemy models into the Brewmaster tarball.